We have yet another example of Islamic Sharia “law” after an Iranian court eight female modes and four male models to jail for simply modeling clothes. Declaring such standard pictures as unIslamic and “vice,” the models were sentenced to periods ranging from one year to six years. 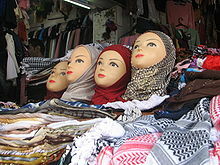 The latest sentences were issued in the city of Shiraz, where the court agreed that the models failed to cover their hair and were part of photos “encouraging moral degradation” and “exhibiting Western fashion online and on social media.” The court went further in banning the models from travel and from employment in fashion-related jobs for two years after they finish their jail terms. Recently we discussed the controversy in Iran’s rival Saudi Arabia over the mere posting of a picture on social media of a woman without a hijab. No need to be concerned about this. The BDS, the world’s leading humanitarian organization dedicated to peace, freedom, liberty, and the advancement of civilization, is already looking into this and they will be taking action shortly. O where is Miley Cyrus when we need her most. Shhhhhh. Hush your mmmmm keyboard. We have enough airheads. I think the first link is busted. I’m inclined to ask more of a rhetorical question than anything else. Were they given prior warning of this or is it a make it up as you go along system. I’m inclined to believe the latter with the ‘individual’ in charge acting on spur of the moment whims. Those same whims – because he got up on the wrong side of bed and his wife burnt the eggs or some such – will soon have their own button to push. Better to cut off buying oil from them as their is not need to import anymore and if necessary have the will to take out their facilities before their facilities take out us. For those who are anti-Israel may I point out they are the only country that has had the balls to defend themselves against a nuclear threat by removing it. Is their any ‘will’ to protect the country with anything but cheap meaningless, counter productive side deals. And how much commission did people like Kerry make. It’s not only the Clinton Foundation that has their hands out – in my opinion. It’s a lesson for all of us in terms of the separation of church and state. Searching for moderates in the Islam culture. Coming to a theatre near you. And when they come in the theatre the seats are dicey. And in the winter, icey. Just think folks, all this is coming to you. ..and to add one brief thought: The former Iranian President, Mr. Khatami, is now officially “Banned” (just like Nelson Mandela was). I just checked his instagram account and students at Tehran Univerisity had his pictures at University Student Day….he’s right now probably the most prominent dissident with the ruling establishment…because as I noted, it is a broad struggle..so that all understand, Khatami is actually related to the family of the founder of the Islamic Republic, Ayatollah Khomeini. This is part of the broader struggle–as the head of judiciary is trying to be “leader” after he’s been implicated in what I understand is the equivalent of a billion dollar embezzlement scandal on top of what one of his brothers has done with illegal seizure of land–these unfortunate acts are part of the broader struggle that the ordinary faces in Iran are caught in the middle. They seem to forget that it was the prophet’s first wife, Khadija, who was quite a force in her time…but they seem to conveniently forget this bit of Islamic history–and because you have a keen interest and have worked to educate us and the World on Constitutional Law, these lowlifes don’t even abide by their own constitution as they have no regard for Legislative Immunity and Freedom of Speech–as underscored by the judiciary cancelling speeches by the Deputy Speaker of Parliament and one of the leading internal dissidents in the country, Sadeh Zibakalam of THe University of Tehran–who said that he would not disrespect the US Flag (which took a lot of guts) and my team at the Daily Outsider featured his statement on one of our sites earlier in November.